Thinking about… The Wizard of OZ. Have you ever thought about the Wizard of OZ as a lesson in leadership? Think about the characters in the movie. Which of them seem to exhibit leadership skills? While it might not seem apparent at first, Dorothy is a 21st century leader. After she finds herself in OZ, she analyzes her problem and determines a clear focus on her goal (to go home to Kansas.) As she begins her journey, she works collaboratively with others to attain the goal (scarecrow, tin man, lion, Toto) to reach OZ, and encourages them along the way. Dorothy was not afraid to take risks and ask questions. She did not lead from the front; rather, she walked alongside her team, and did not have all the answers to the problems they encountered. Dorothy's approach to leadership influenced many along the way, and she did so with kindness and humility. 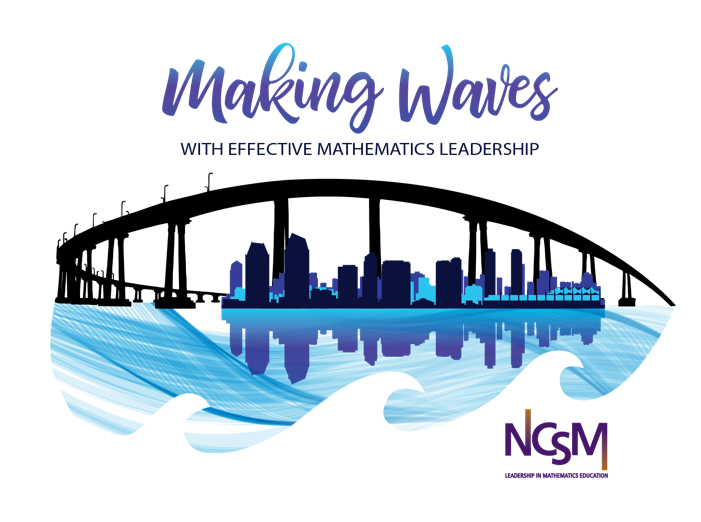 By being a member of NCSM, you have taken on the journey of leadership in math education. This amazing organization has so many resources to assist in making you a 21st Century leader. Our Annual Conference is one of the best ways to support your leadership journey through the outstanding sessions, opportunities to volunteer, networking, and caucuses. If your journey has taken put you on the coaching path, be sure to visit the Coaching Corner. Another outstanding opportunity for leadership is the Summer Leadership Academies and Fall Seminars. And the Marshall Memo is a favorite of mine! Explore the website and you will find many resources that will assist in your math leadership work, including our new Essential Action series. As you think about your own leadership journey, remember Dorothy and how she encouraged her team and continued to explore ways to support others to achieve goals. Being an NCSM member and using the resources available will help you to use "Dorothy's way" to support those you work with and achieve goals as well! Don't Miss These Exciting Math Opportunities! Don't forget - our Eastern Region 2 Caucus will be held during the Conference on April 2, from 3:30 - 4:15 in Pacific 24 in the conference hotel. Join your colleagues for networking and discussion. Please note that a new Eastern Region 2 Director will be elected this fall. If you are interested in the position, please let me know. Descriptions of all the elected positions may be found there.